Children playing frisbee with Aidan at NI-155 near León, Nicaragua. In a trip that was loaded with emotion while experiencing a new culture, observing Compassion’s effect in people’s lives and even meeting our sponsored children in person, there were plenty of beautiful, light-hearted moments as well. One day after lunch, a fellow sponsor brought out some frisbees to play with the children of the project. She invited Aidan to join in, and it became apparent it was a game the children weren’t going to let him quit easily. In fact, one little boy named Javier, whom Aidan nicknamed “the ninja” because of his interesting poses while catching and throwing the frisbee, kept Aidan busy long after the other children had tired of the game. A boy from NI-155 playing frisbee. Javier playing frisbee with Aidan. Aidan and Javier after a long round of frisbee. 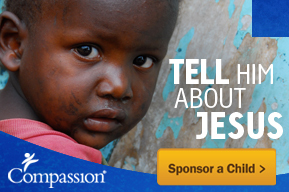 This entry was posted in Compassion International, Nicaragua and tagged Compassion, frisbee, Leon, Nicaragua. Javier is so cute!! How sweet of your son to take the time to keep playing with him. I love the pictures and the smiles, Such JOY, thanks so much for sharing them!